Why should I try essential oils? 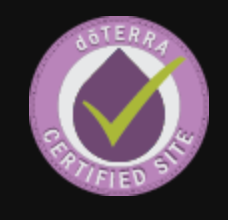 Essential oils are incredible, natural support for your body. Because they are organic compounds they don't come with the long list of side effects. They are incredibly potent little drops of goodness that will support your own body to balance all of its systems and functions. Because they are so potent, a little bit goes a long way, and because they support your body's systems, you will actually need LESS as your body finds its own homeostasis and sense of wellness. You can also combine oils as you wish and your body will take what it needs and metabolize the rest. They work incredibly quickly in most cases and so I love them for all of my children's issues and concerns. The whine time is reduced from hours to just a few seconds or minutes. Not all essential oils are created equally, but I LOVE the essential oils that I get. They are safe and very effective (and you must exercise common sense when you use them...this is definitely a case of less is more). I use the oils for every complaint that my children or husband comes to me with including tummy discomfort, head tension, seasonal complaints, immune enhancement, hormonal imbalances (that's more MY complaint! ), and emotional discomfort and/or turmoil. I use the oils for absolutely everything and I have seen them effectively support every system of the body. What do essential oils have to do with mindfulness? When you apply essential oils you have a chance to really check into what is happening in your body so that you can choose the most effective oil for your complaint. You can use oils for emotions, physical complaints, as a pick me up, as a way to calm down...there are so many things that the oils are good for, but you must check into your body, into your emotions and define what is happening in order to choose the correct oils. And the act of putting the oils onto your body or inhaling them or setting up a diffuser or ingesting them is all an act of mindfulness...it's not the same as popping a pill and waiting for it to take effect...you look at the root cause of your complaint and then decide how best to apply the oil to correct your complaint.